I took Pip for a walk on the Beacon today. It was a nice sunny day with some thin cloud forming in the lee of the hills. 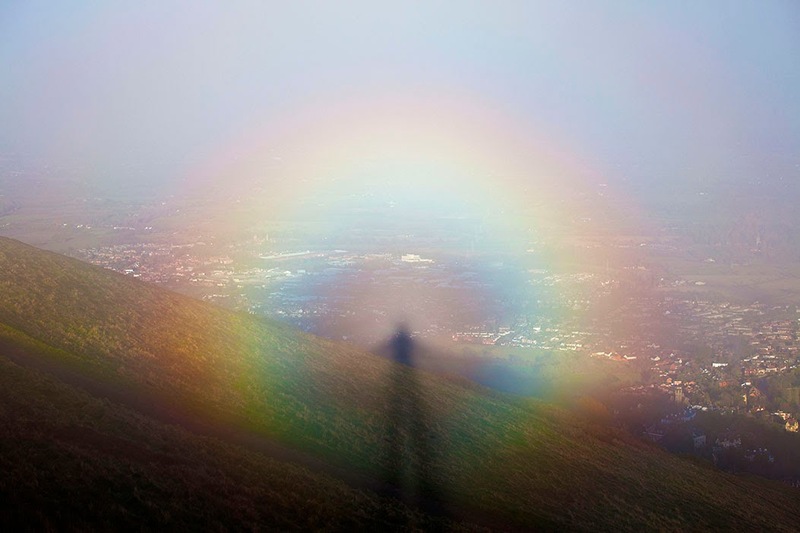 Sure enough a Brocken spectre complete with glory!